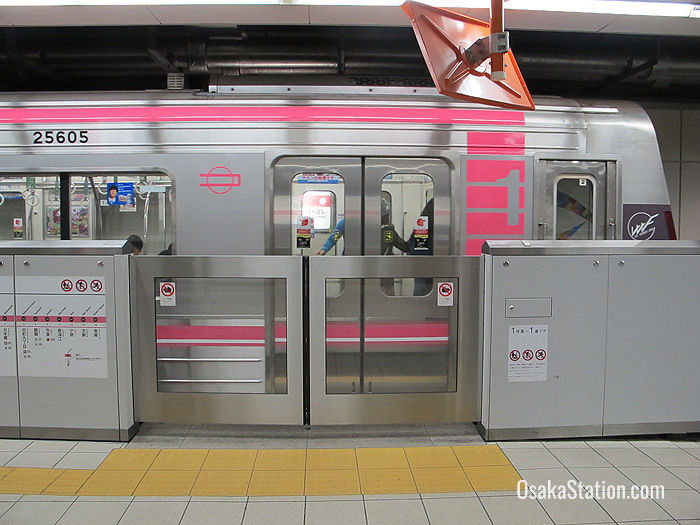 Osaka Municipal Subway’s Sennichimae Line runs between Nodahanshin Station in Osaka’s north west and Minami-Tatsumi Station in the south east. On its route, this line passes through the popular shopping and entertainment districts of Namba and Nipponbashi, and it also intersects with all seven of the other municipal subway lines. Osaka Municipal Subway is not covered by the Japan Rail Pass. However, there are other discount passes that can be used on the subway and these are listed at the end of this article. Here, listed from Nodahanshin Station, are the key destinations with transfer points included. 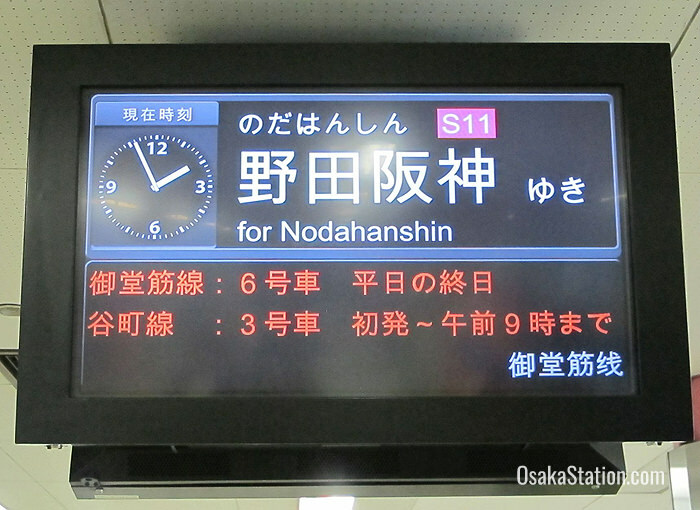 Fares and times are given from Nodahanshin Station. Nodahanshin Station is the northern terminus of the Sennichimae Line and is located in Osaka’s Fukushima Ward. Two other stations are located nearby. These are Hanshin Noda Station, where transfers can be made to the Hanshin Main Line, and Ebie Station, where transfers can be made to the JR Tozai Line. This station is a ten minute walk from Osaka Central Fish Market. 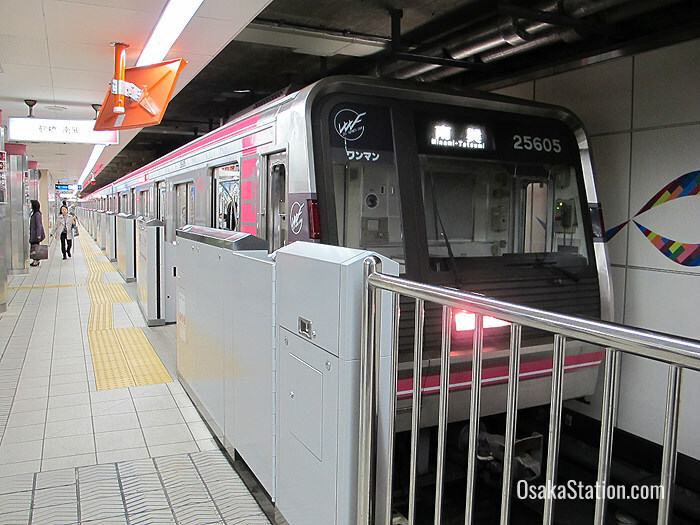 It is also close to JR Noda Station where you can transfer to the Osaka Loop Line. Transfer here to the Nagahori Tsurumi-ryokuchi Subway Line. Transfer here to the Hanshin Namba Line. 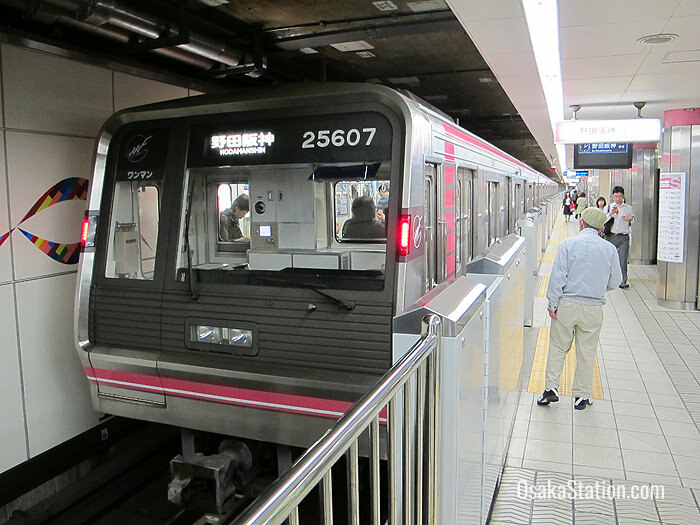 From Osaka Municipal Subway’s Namba Station you can transfer to the Yotsubashi Line and the Midosuji Line. Nippombashi Station serves the popular shopping district of Nipponbashi. Exit here for Kuromon Ichiba Market, the National Bunraku Theater, and the Denden Town area which is famous for its cheap electronics shops. Transfer here to the Sakaishuji Subway Line. At nearby Kintetsu Nippombashi Station transfer to the Kintetsu Namba Line. Exit here for Ikukunitama Shrine, Kozu-gu Shrine, and the Sheraton Miyako Hotel. Transfer here to the Tanimachi Subway Line. At nearby Osaka Uehommachi Station transfer to the Kintetsu Namba Line and the Kintetsu Osaka Line. Tsuruhashi is best known for Osaka’s Korean Town and in particular Miyukimori Shopping Street where there are many Korean restaurants and Korean stores. There are actually three Tsuruhashi Stations but they are very closely connected. At the JR Tsuruhashi Station transfer to the Osaka Loop Line, and at the Kintetsu Tsuruhashi Station transfer to Kintetsu Nara Line and the Kintetsu Osaka Line. Minami-Tatsumi Station is the southern terminus of the Sennichimae Line and is located in Osaka’s Ikuno Ward.